Pauline brings nearly 30 years of biotech corporate and business development to Ocular Therapeutix. She is a Partner at Red Sky Partners, an advisory firm providing interim C-level business expertise to life sciences companies undergoing periods of transition and growth, where she has served in several interim CBO and CEO roles. 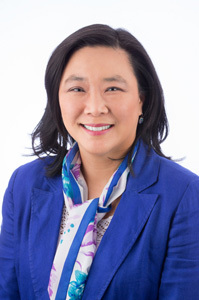 Previously, she has served as CEO of Verik Bio, Senior Vice President, Business Operations at Proteostasis Therapeutics and Senior Vice President, Corporate Development & Operations at ImmunoGen. Ms. Ryan is a founding member of the Biotechnology Industry Organization’s Business Development Advisory Committee and launched the BIO Business Development Fundamentals course. She is also an advisory board member at MIT’s Martin Trust Center for Entrepreneurship with a focus on life sciences companies. Ms. Ryan received her MBA from the J.L. Kellogg School of Management at Northwestern University and her BA in Psychology from Northwestern University.